The Centerville Arts Commission presents “Moving Expressions” at the Centerville High School Central Theater on Saturday, May 19, 2018 at 3:00 p.m. featuring DCDC2. The Central Theater is located at 500 East Franklin Street. The event is free and open to the public and tickets are not needed. DCDC2 is the pre-professional ensemble for the Dayton Contemporary Dance Company. “Moving Expressions” will feature a sampler of contemporary dance works from its dance collection created by its resident choreographers. The program includes a moving tribute to the icon of civil rights, soul-stirring gospel expressions, lighthearted, energetic dances to an introspective journey within. Founded in 1975, by Founder Jeraldyne Blunden, DCDC2 – the pre-professional ensemble for the Dayton Contemporary Dance Company (DCDC) is a culturally diverse ensemble committed to arts integrated education, community engagement and university partnerships, as well as the professional development of college graduates and undergraduates preparing for professional careers. DCDC2 provides a platform for emerging performers, teachers, and choreographers to hone their technical skills and showcase their artistic talent. DCDC2 has cultivated dance artists for DCDC’ professional company as well as for other national and international dance companies and productions. 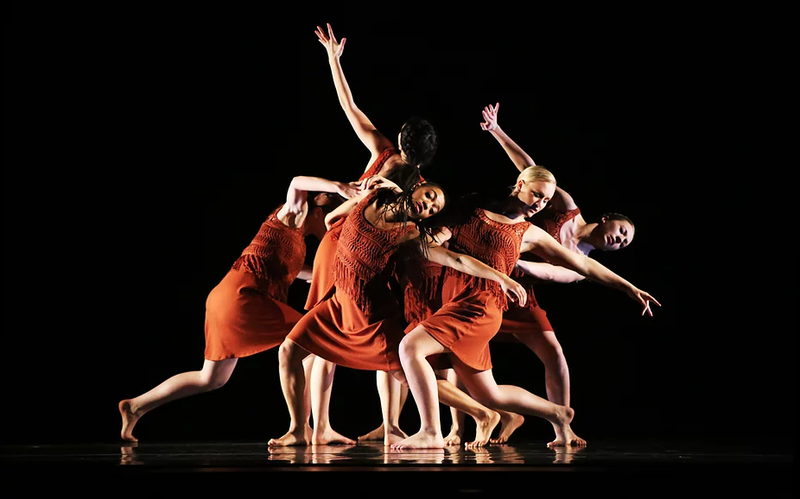 This Sunday, April 26th, from 4pm-6pm you have the opportunity to experience the Definition of Exquisite with the DCDC2, the Dayton Contemporary Dance Company‘s repertory-training ensemble. The intriguing program promises to explore the essence of exquisite, through creative choreography and modern dance. 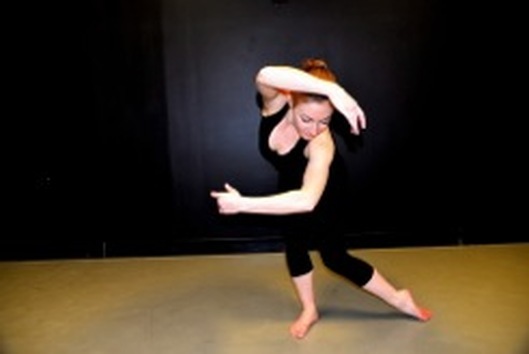 Movement is one of the most powerful tools for artistic expression, and DCDC uses it in a truly soul stirring way. DCDC was founded in 1968 by the visionary pioneer Jeralydyne Blunden, who later established the DCDC2 ensemble. Both groups perform locally and tour regionally, performing for the likes of Oprah Winfrey and Dr Maya Angelou. Highly regarded for their artistic excellence and community partnerships, they are truly a gem in the Gem City! If you have not been to one of their productions, please do yourself a favor and attend this performance at The University of Dayton’s Boll Theatre. Tickets are only $15 and can be purchased via Ticket Center Stage (937-228-3630). Save the date! for SMAG Dance Collective’s 10th Anniversary Season Spring Fling concert which takes place on May 24h at Dayton Playhouse, 1301 E. Siebenthaler Ave, Dayton, Ohio 45414. Show times are 4:00pm and 8:00pm. Tickets can be purchased at www.smagdance.org and Brown Paper Tickets. SMAG’s 10th Anniversary Season Spring Fling features the work of nearly 10 choreographers, and SMAG is proud to present the work of the exceptionally artful, Rodney Brown, Founder/Director of the Brown Dance Project, the intensely moving work of fellow dancer and life-long friend, Shonna Hickman-Matlock, Director of DCDC2, and the work of Rodney Veal, for whom there are many accolades, and yet who is a humble man who lives art in a way that only he can and our community is blessed by his amazing gifts. SMAG’s Spring Fling also serves as a showcase for emerging choreographers such as this season’s veteran company member and Assistant Director, Taiesha Green and first year company member, Rachelle Cartee. This 10th Anniversary Season’s Spring Fling also features the work of Deniz and Renee McClendon. These women are long time contributors to the body of work that is dance in Dayton, Ohio, and SMAG Dance Collective is excited to share the stage with these choreographers and their dancers. Spring Fling is very much representative of the company’s mission which is to provide opportunity for dancers and choreographers, educate and entertain diverse audiences, and to bridge the gap between artists, arts organizations and the community. SMAG Dance Collective extends its heartfelt thanks to everyone who contributed to the company’s Spring Fling power2give campaign and also to Culture Works! SMAG’s programming is made possible by grant funding from the Ohio Arts Council, private donors, in kind donations from volunteers and local businesses, and most recently, with the help of Culture Works’ power2give launch. SMAG Dance Collective is a nonprofit 501(c)(3) organization.